The ever growing business requirements for IT systems, applications and data capacity often result in underlying networks that can’t keep up with users, applications, company mergers and escalating security threats and compliance requirements. Networks are often expanded or merged haphazardly, without a coherent strategy, in the process creating unintended reliability and security gaps. 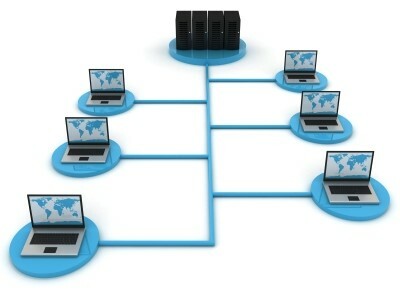 We help organizations build, enhance and maintain secure and reliable Local and Wide Area networks. We design, implement and support network infrastructure solutions that resolve existing network deficiencies, instabilities and bottlenecks. We will also design solutions to deliver new capabilities to the organization to improve business productivity and efficiency. In many cases we will include an RFP process as part of the network design phase, helping us identify the best technology for the solution at the lowest possible price. And since we usually implement and support what we design, we always make sure that our designs are not only viable on paper, but are also feasible to implement and support. With hundreds of successful network implementations, InterLAN has the expertise to implement what we design. This allows us to produce real-life designs and implement those through full understanding of all design elements. Our network audit helping organizations identify and document their network resources and their configurations. Unless such documentation is already available, this is usually the first step before re-designing a network. In many instances, network audit can uncover network misconfigurations, resolving which may eliminate or postpone the need for a network upgrade. The assessment engagement will be concluded with a report documenting all findings and recommendations along with a suggested plan of action and estimated budget, resources and timeframe requirements, allowing the client to assess, budget and schedule the implementation project. With hundreds of successful network infrastructure implementations, InterLAN has the expertise to implement what we design. We have the experience implementing network and security solutions in both internal corporate networks, as well as on Internet-facing corporate or eCommerce sites.